Panda Pow is a Chinese-themed online slot that has five reels offering twenty-five paylines. Here you will meet the Chinese Panda that comes on the screen with a pow and also as the stacked symbols. Lightning Box Games has developed many games in the last ten years that offer various styles and bonuses to the players. This is another interesting mobile slots game from them. This mobile slots game is five reels and three rows slot that is played with 25 fixed paylines. 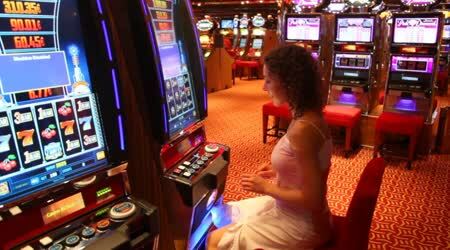 The players can place bets from a minimum of 25p to a maximum of 1000 per spin. The mobile slots game boasts of wonderful visuals that are designed minutely. The high paying standard symbols on the reels are a baby panda, paper lanterns, Chinese fans, Chinese gold tokens and a goldfish. The low paying icons are the regular playing card icons starting from 9 to Ace. You will also find a giant panda on the screen that is both the wild and scatter as well. The highest paying standard symbol is the baby panda that gives 500 coins for receiving five of them on a payline. The goldfish is also important as it gives 200 coins for five on a payline. The Chinese fan, gold tokens and lanterns give up to 100 coins. What’s interesting and unique about these regular symbols is that they will fetch rewards for landing even one or two of them. Red Panda Wild- This symbol can stand in for all other symbols on the reels but not the Gold Panda. Red Panda wild will land only on the three central reels. Gold Panda Wild- This symbol can only be seen during the free spins round and it appears on the last four reels. This will substitute for all symbols excluding the Red Panda. Free Games- The free spins are activated by landing at least five of the Red Panda bonus symbols anyplace on the reels. As the bonus icon continues to appear on the screen during the free spins, it is easy to re-prompt the feature. Panda Pow offers the players a payout of 95.51%. The amazing mobile slots game will take you on a one of a kind adventure that will reward you with many small wins along with some big ones too.